The Streets to Pathways Career Initiative (SPCI) is a school-based career pathways program, focused on sector-based training, with added elements of a mentorship model. ASN has partnered with Youth Connection Charter Schools (YCCS) to provide advanced career pathway training, certification, job readiness skill development, subsidized career pathway on-the-job experience, and job placement for up to 160 youth participants. The program mission is to support the participating youth in their goals to secure and maintain long-term, career-directed employment. 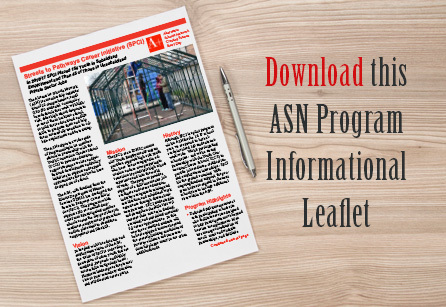 ASN has also engaged with numerous community partners and alternative schools to act as employers and career pathway training agents in high demand industry areas. School-based Career Pathway Mentors deliver supportive case management and facilitate job readiness activities that include skill-development via employment resources delivered through Illinois Worknet. Youth will be trained in career pathways in 1) Agricultural, Food & Natural Resources, 2) Arts, 3) Audio/Video Technology & Communications, 4) Health Science, 5) Hospitality & Tourism, 6) Science, Technology, Engineering & Math (STEM).